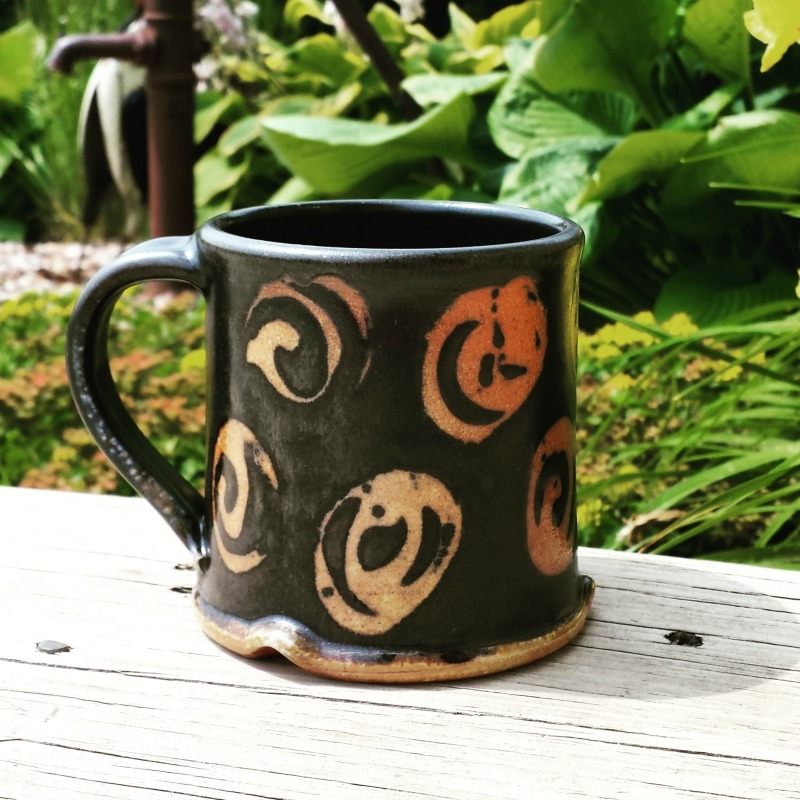 One of the great benefits of the 100 mug challenge I did earlier this year was a wide variety of mugs for both the wood kiln and the electric kiln. It’s a great opportunity to try similar glaze themes on different styles to see how the designs work on the different shapes. This glaze is a satin matte black that I’ve really just started to appreciate. On its own, it’s pretty boring, but with some wax resist patterns and combined with other glazes – I LOVE IT! 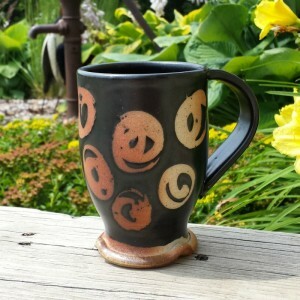 I’m looking forward to trying some other patterns with this glaze in my next firing.